Do you like to drive fast? Do you find yourself cruising at speeds above the posted limit? If you are one of these people and the local laws allow it, you may want to consider purchasing a radar detector and laser defuser system. This article looks at the solutions available and the features and benefits of each. What is Radar Speed Detection? Law enforcement agencies all over the world use radar to measure the speed of vehicles. Radar stands for Radio Detection And Ranging. 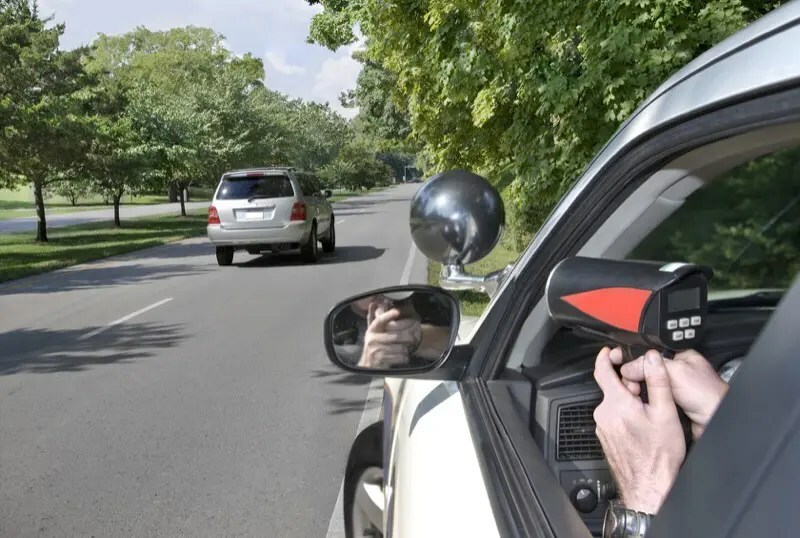 Radar detectors work by sending a beam of radio waves at the vehicle or object that is to be measured. These radio waves are sent a specific frequency. When the radio waves hit a moving object, they reflect back at a different frequency. This change in frequency is called a Doppler shift. How much the frequency shifts from the original transmitted one is determined by the speed of the vehicle. 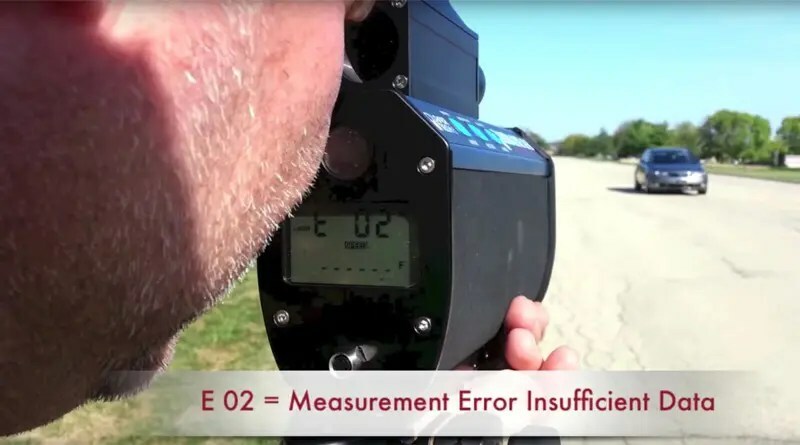 A detector in the radar gun picks up the signal reflections from the vehicle and analyzes their frequency content to perform a speed calculation. 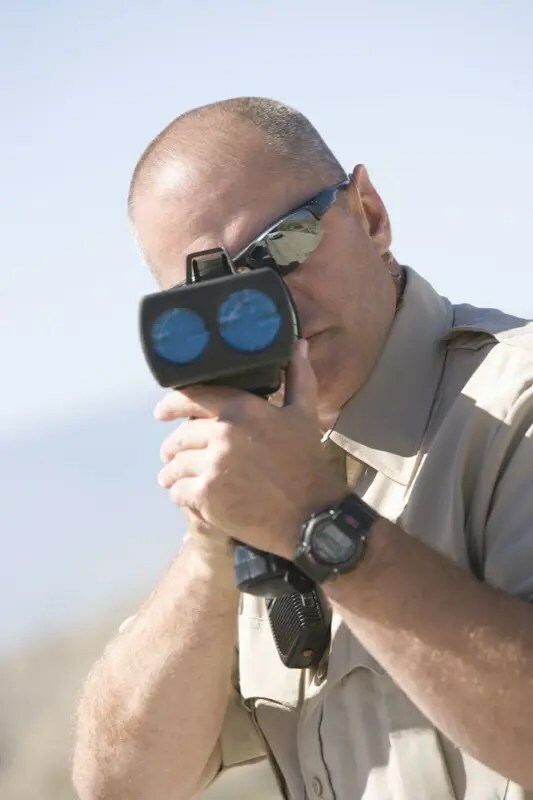 The radar gun then displays the object’s speed on an attached screen. Four common radar frequency bands are in use: X, K, Ka and Ku bands. The X-band ranges from 8 to 12 GHz, with 10.5 GHz being the most popular in North America. K-band ranges from 18 to 26.5 GHz, with 24.12 to 24.17 GHz being popular. Ka-band extends from the top of the K band up to 40G Hz. Frequencies from 33.8 to 25.7 GHz are popular. Finally, Ku-band fills in the frequencies between the X and K bands but is primarily used in Europe. What is Laser Speed Detection? When the availability of radar detectors became so prevalent, law enforcement agencies were forced to find alternate ways of catching speeders. Developed in 1989 by Laser Technology Inc., laser-based speed detection guns transmit a beam of pulsed light to the vehicle, then calculate how long it takes for the beam to reflect back. Based on the time it takes, the unit can measure the distance to a vehicle almost instantly and with excellent accuracy. As the distance changes, the laser gun calculates this rate of distance change as the speed of the vehicle. Unlike radar system, the laser beam is very narrow, often spreading over less than 3 feet at a range of 1,000 feet. This range makes laser very accurate. In fact, some of the newest laser speed guns can work at ranges of up to 4,000 feet. The technical name for laser speed detection is Lidar, but most people refer to it is a laser speed measuring device, or more simply, a laser gun – George Lucas would be proud! While not allowed in all states and provinces, a radar detection system is designed with a receiver that is tuned to the X, K and Ka bands. When it detects radio frequency energy in these bands, it produces a warning to alert the driver to the possible presence of a radar speed detection system. It is up to the driver to slow down to a legal speed before the officer can get a reading. 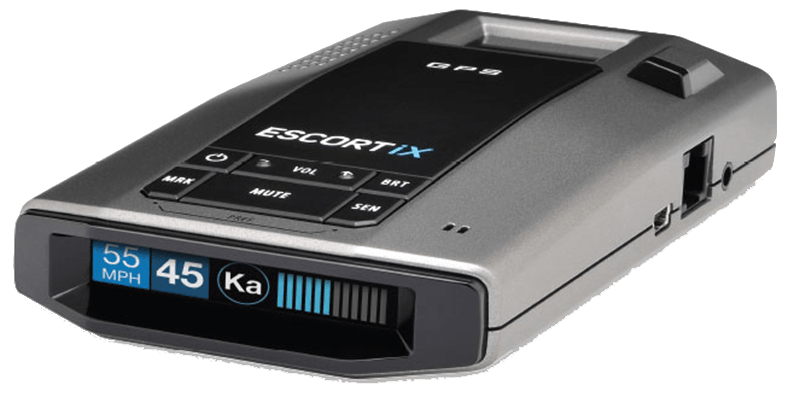 There are two popular types of radar detectors: portable windshield mount systems and systems that are installed in a vehicle. The portable units are great for people who travel and may want to use them in their rental cars. These are also a good solution for people with more than one vehicle. Because the system is portable, the radar detection sensor is smaller, and it isn’t as sensitive and doesn’t provide as much warning as an installed system. Custom-installed radar detection systems typically include dedicated front and rear sensors. These sensors can be mounted behind plastic bumper covers to conceal them without hindering their operation. Many systems are almost invisible in the interior of the vehicle, although clients may opt for a small control panel to speed up changes in settings. The inclusion of a GPS receiver in some systems allows owners to mark locations where false alarms are prevalent. Radar-controlled door openers and traffic flow detection systems can be a source of interference. Many new cars feature blind-spot monitoring systems and lane departure warning systems that can also cause false alarms. Many different systems are available to combat an officer’s attempt to use laser ranging to capture your speed. These systems work by using multiple sensors placed on the front, and often rear, of the vehicle. These sensors detect the pulsed signal from the laser gun, then broadcast a modified and “confused” signal back to the unit. The result is that the laser gun is unable to calculate your vehicle’s speed. Most retailers and manufacturers will suggest that once your detection system alerts you to the presence of a laser gun, you slow down to a legal speed and let the officer get a speed reading, if for no other reason than to appease their efforts to try to catch you. When shopping for a laser defuser system, make sure you purchase one that can be upgraded easily. 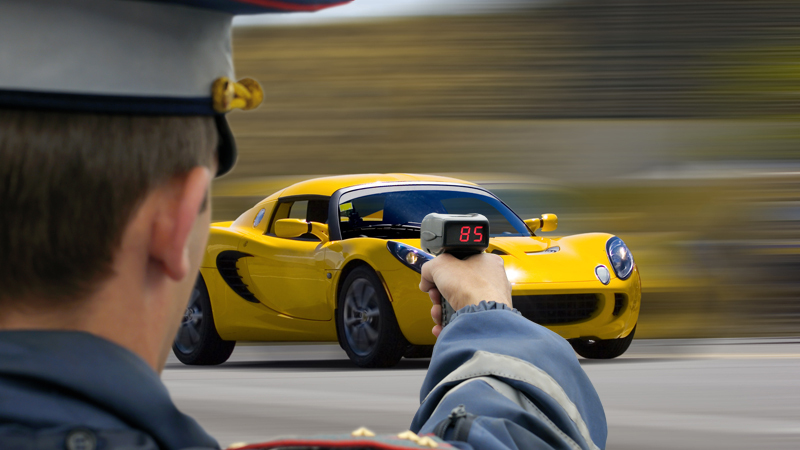 New and improved laser speed detection guns are also being introduced with different technologies to give law enforcement agencies an advantage over speeding drivers. As the companies that manufacture the defusers come up with solutions for each of these new products, Internet-based downloads are made available to update your system. 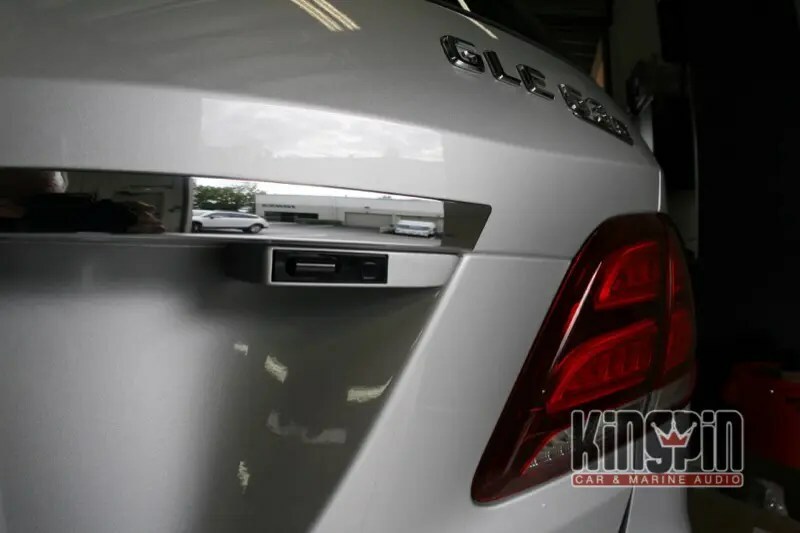 This custom laser defuser bracket by Kingpin Car Audio was made out of plastic and painted to match the vehicle. A custom-installed radar detection and laser defuser system take some time to complete. Basic systems require several modules to be mounted securely, then all of the wiring must be run neatly and securely through the vehicle back to the main control unit. Complex systems that include GPS, front and rear radar detection, and as many as five laser defusers can take much longer to install. The laser defusers have to be mounted so their transceivers are clearly visible, and they must be horizontal to the ground during operation. Many specialists will create custom brackets to mount these sensors properly while maintaining a clean and tidy overall appearance for the vehicle. If you are in the market for a radar detector or laser defuser system, contact your local specialist mobile electronics retailer. They would be happy to provide you with all the information you need to make the right purchasing decision, including how much it will cost. As always, we want you to drive your vehicle in a safe and legal manner.